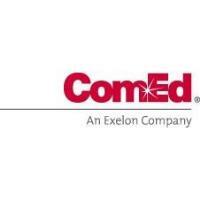 Kane County Fiber is pleased to announce that they are currently having their ComEd energy bills reviewed to take advantage of the energy efficiency programs that ComEd has available to save organizations money on their energy bills. By the Kane County IT Department colocating to a data center the county will gain economies of scale, reduced energy use and lower energy cost. In conjunction with ComEd, New Continuum Data Center and Kane County Fiber, we will be having a seminar at the New Continuum Data Center discussing the program. We will cover all the details of the various programs that ComEd has available to save organizations energy costs by colocating to data centers such as New Continuum. Also, we will discuss how utilizing the Kane County Fiber network you can get high speed cost-effective access to New Continuum and other data centers on the Kane County Fiber network. The seminar will be November 15th from 11:30 to 1:00 at the New Continuum data center located at 603 Discovery Drive, West Chicago, IL 60185. You can sign up at Eventbrite at here. Many of ComEd’s professional customers host their day-to-day IT operations on computers and servers housed on site in small data closets, but today there is another option: colocation. By moving IT equipment to data center colocation facilities, customers gain economies of scale, reduced energy use and lower energy cost. cabinet, cage or room. Colocation facilities are typically equipped with state-of-the-art cooling, power, bandwidth and physical security, which assures their customers that servers and data storage equipment will be housed in the optimum environment. In the past, colocation facilities were used by private enterprises for disaster recovery. Today, they are an excellent option for primary data center operations and are especially popular with cloud service providers. An effective and efficient cooling infrastructure is a hallmark of colocation facilities. These systems are designed to be robust enough for the most complex high- power density deployments, while also effectively serving smaller customers. Airflow management and control optimization are two of the many energy-saving options available to today’s data center designers. Colocation facilities offer different types of spaces, from cages and cabinets to suites, which can meet any customer’s requirements. This model allows for scalability of data center assets as load and size requirements grow.